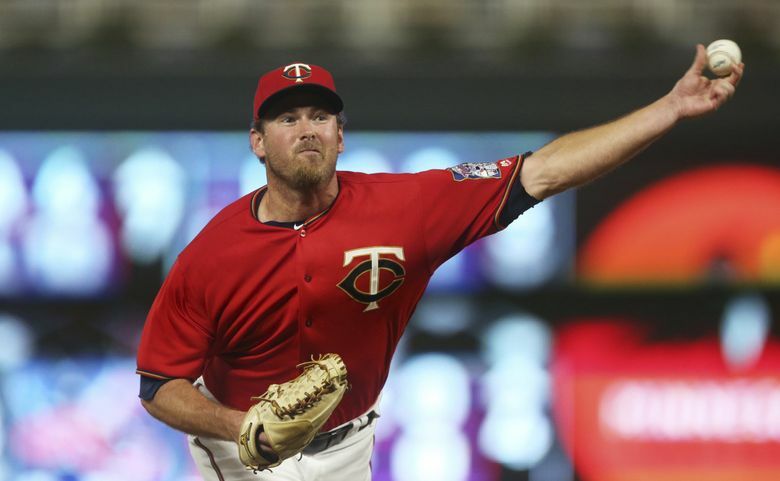 The Minnesota Twins have traded pitcher Zach Duke to the Seattle Mariners in exchange for pitcher Chase De Jong and infielder Ryan Costello. They are sending global bonus pool money, with sources telling ESPN the total is $1.25 million, to the Yankees. Duke has posted a 3.62 ERA and 1.58 WHIP while striking out 39 in 37 /3 innings pitched this season. He has limited left-handed batters to a.237 average this season. He ranks 10th among active lefties in career games with 513. Warren, 30, has a 2.70 ERA in 24 games for the Yankees this year. De Jong made his Major League Baseball debut for Seattle in 2017 and allowed 20 runs in 28 1/3 innings (seven appearances, four starts). He was due $3.315 million this season, so the Yankees have cleared a spot on the 40-man roster and cut their payroll. The 24-year-old De Jong started 21 games for Double-A Arkansas, going 5-5 with a 3.80 ERA. Lynn and Duke were both inked to one-year deals this offseason, part of a flurry of short-term signings expected to help the Twins improve on last season's 85-77 campaign that ended in a.
Costello, 22, has hit.266 with 16 home runs and 70 RBIs for Class A Clinton.